Andrew Lopinot is a public servant with a passion to help his community. Growing up in St. Clair County, he was involved with various after school programs and volunteer opportunities. While getting a Bachelor’s in Communication from Southeast Missouri State University, Andrew started working as a Resident Advisor for campus housing and quickly realized his passion for public administration. After earning a Master’s in Higher Education Administration and Student Personnel at Kent State University in 2011, he took a University Housing position at California Polytechnic State University. In 2014, Andrew was given the opportunity to come back to Cardinal Nation to work at Southern Illinois University Edwardsville as an Academic Advisor. Andrew has a Master’s in Public Administration from SIUE, and currently serves as the Chief Deputy Treasurer for St. Clair County. In this position he oversees the day-to-day operations of the office, the staff, and works closely with the Treasurer on office policies and investment strategies. He also represents his neighbors and community as a Ward 5 Alderman for the City of O'Fallon. 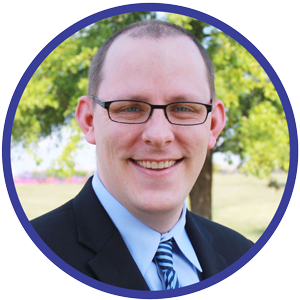 Andrew has the education and experience necessary to affect positive change as the County Treasurer. Andrew's master’s degrees have equipped him with the skills and knowledge to lead the office, and his career has focused on administration in the public sector. He has established budgets, created strategic goals, supervised employees, and has maintained a positive relationship with the public by providing high quality customer service. Andrew is excited to continue to serve the residents of St. Clair County.